Summertime... just the thought of the word makes us smile. It's possibly the best time of the year and is only complete when you spend long days having fun on the beach, exploring the outdoors, and relaxing in the sea or in a pool. Spending this much time outside, you'll need to beat the sun to avoid dangerous sunburn. At The London Umbrella Seller, we've been designing and testing umbrellas for many years; we know what makes a great umbrella. After researching a huge range of available models, we've selected and reviewed four beach umbrellas to make your choice so much easier! 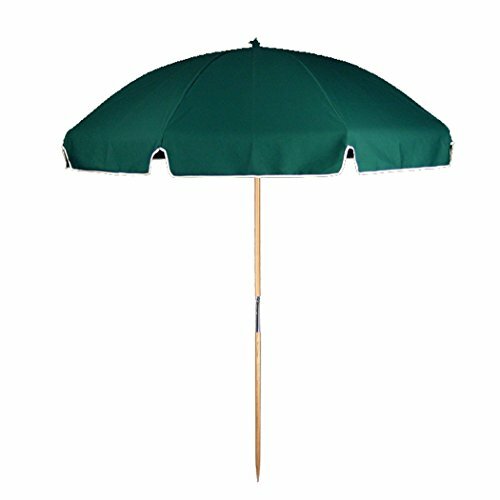 To give you superb protection from the sun and wind, you will need the best beach umbrella. After carefully going through a plethora of beach umbrellas on the market, we settled on the below four choices. Each of them is built strongly and is a very high quality product, designed to last for many years. We're certain you'll find the one you need in our list of umbrellas. 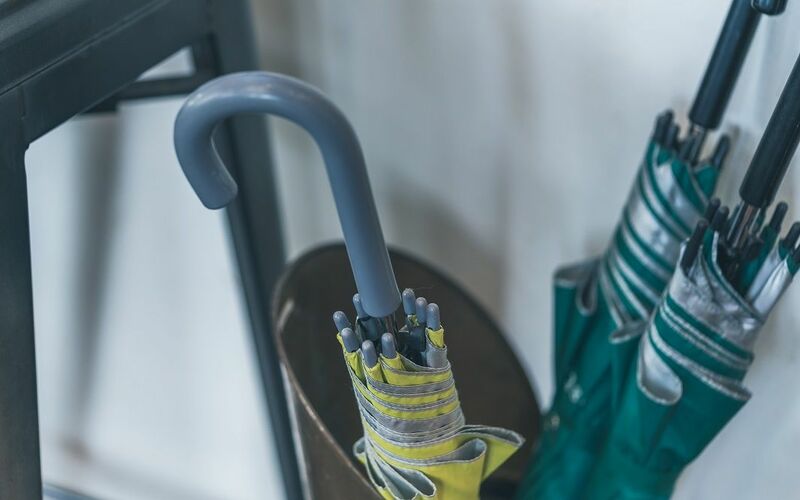 When in the down position, this umbrella measures just 54 x 4 x 4 inches and weighs only nine pounds! When fully opened, the umbrella has an eight-foot canopy. The Sport-Brella Beach Umbrella’s canopy is made from a strong 210D polyester material. This helps the umbrella stand up against strong winds and harsh sunlight that you can typically encounter on the beach. An important part of a high quality beach umbrella is the ribbing. This keeps the polyester material properly stretched, which in turn helps keep you in the shade. These ribs are made from strong steel measuring 4.5 mm, with a 5mm steel stretcher. This steel will ensure that the umbrella will not just collapse in case there is a strong gust of wind. The Sport-Brella Umbrella is a little different to your traditional beach umbrella. While it offers the classic function of covering overhead, it is also capable of providing you with a shelter, which is great to protect you and your loved ones in many situations. The canopy also comes with panels which can be tacked down in order to keep the rain or the wind attacking you from the sides! These panels help in increasing the square footage of the coverage that this umbrella provides you. These panels come with windows, which offer excellent visibility and air flow from the sides too. While having this canopy covering you from the sides make perfect sense when there are strong winds or a rain shower threatens, it would not be ideal in very hot weather conditions. In such cases, you don’t have to worry that this umbrella will turn your shelter into an oven because it comes with wind vents on the top and zippered windows on the side to let air flow through. 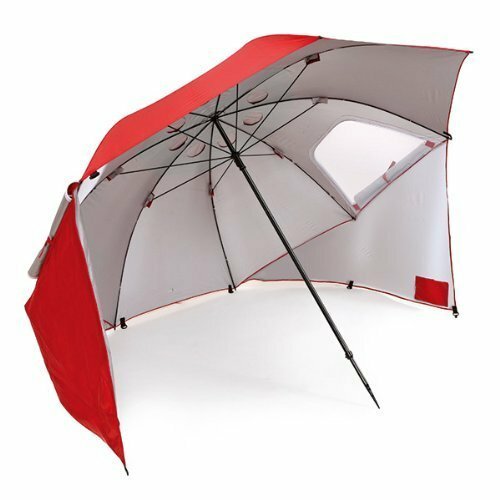 This umbrella comes with a carrying bag to conveniently keep all its parts in one place and to carry it around with you. The bag has a handle too to carry it over your shoulder easily. 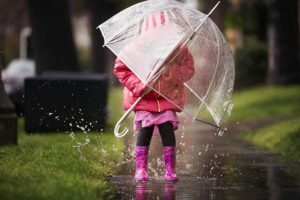 The umbrella can either be used upright or on the ground. When placed on the ground, the sides can be tacked into the ground or the sand. You can leave the windows either rolled up or hanging to give additional shade. When you use it at the beach, you'll need to use the sand anchor along with the sand pockets to make sure your umbrella is secured tight. Considering this umbrella is so big, it only makes sense to talk about the space under it. There is more than enough space for two adults to sit along with chairs, you can also two to three younger children without chairs. Additionally, you can easily have your cooler and a baby seat under it. When in the down position, this umbrella is a very portable 46 inches and weighs just 2.4 pounds! When open, the umbrella’s diameter is a comfortable 6.5 feet so can easily shelter two people from the sun's rays. The MOVTOTOP Beach Umbrella comes with fiberglass ribs and a 1.26 inch pole constructed from aluminum alloy. On the underside of the canopy, this umbrella has a silver colored UV coating for superb UV protection. Furthermore, the fabric used on this umbrella is a durable waterproof polyester. This ensures that it not only keeps you cool in the shade, but will also keep you dry should an unexpected shower creep up on you! This umbrella has ribs made from high-quality fiberglass, which not only ensures the umbrella is really durable, it also ensures that it remains flexible, especially in strong winds that can bend and potentially break other more inferior beach umbrellas. This item comes with an integrated sand anchor to help hold the canopy firmly in the sand. It has a push button tilt mechanism allowing the sun to be tracked throughout the day. It also has an air vent design to allow air to flow around the canopy and to also give stability from gusts of wind. A shoulder bag is also included. This umbrella is perfect for two adults. To sit with chairs is also possible, however space would be more limited. Without chairs, it can possibly also accommodate a young child or two. What's wonderful is that this beach umbrella has a choice of a plethora of colors and patterns. You can choose from classic solid colors such as red, forest green, oyster, blue and navy blue or you can choose from dual colors such as red and white, green and white, and blue and white. There are also options in horizontal stripes in colors like yellow and white, as well as light blue and white. 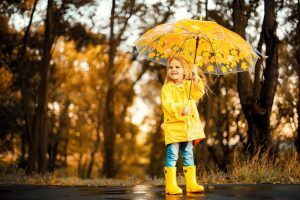 If you want a beach umbrella that stands out, there are some superb choices, perfect so you can easily find your way back to your umbrella on the beach. There's a wonderful American flag design option as well. 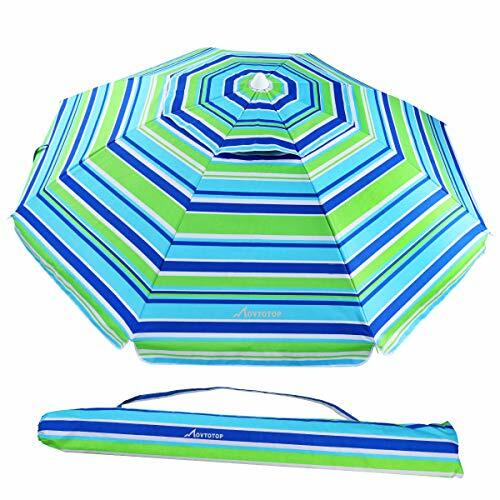 The beach umbrella comes with a highly durable and rugged cover and is made of a nine-ounce acrylic marine grade fabric material. This fabric is dyed well and is ingrained in every fiber, so the chances of it fading are significantly reduced. 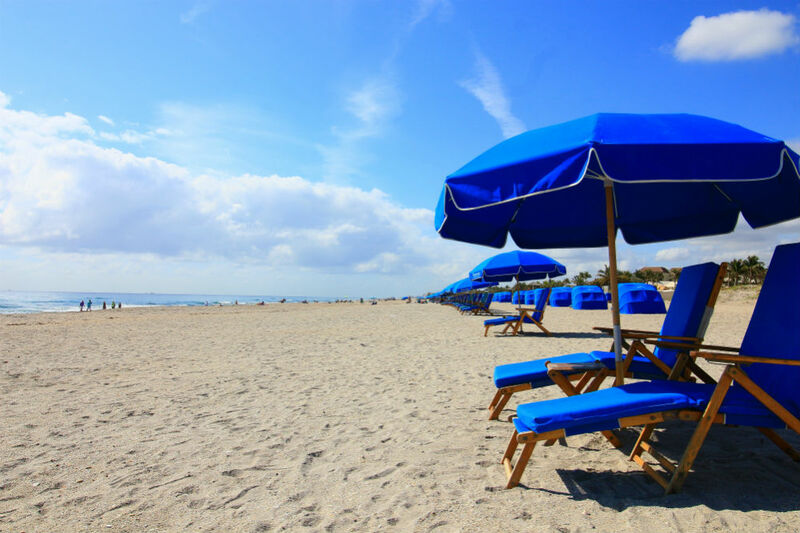 It provides you with a UPF 50+ protection from sun, is resistant to mildew and mold, and is significantly heavier, and thus more robust, than the standard beach umbrella that uses 4.5 to 6.3 ounces of fabric. This umbrella is engineered to provide you with ample shade. It features a stiff and tight construction along with a robust finish to help the umbrella last for years. 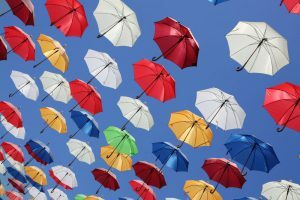 Frankford Umbrellas Beach Umbrella has invested in superb craftsmanship for their product, and it shows. The canopy on this product measures 7.5 feet, it also encompasses clever reinforcing in layers so that it can minimize the possibility of fabric tearing. The product has zinc plated steel ribs which measure 5mm in diameter. This makes the umbrella very strong and makes it resistant to strong winds. It is advisable to use a sand anchor to hold the umbrella to the ground securely. This anchor is sold separately. 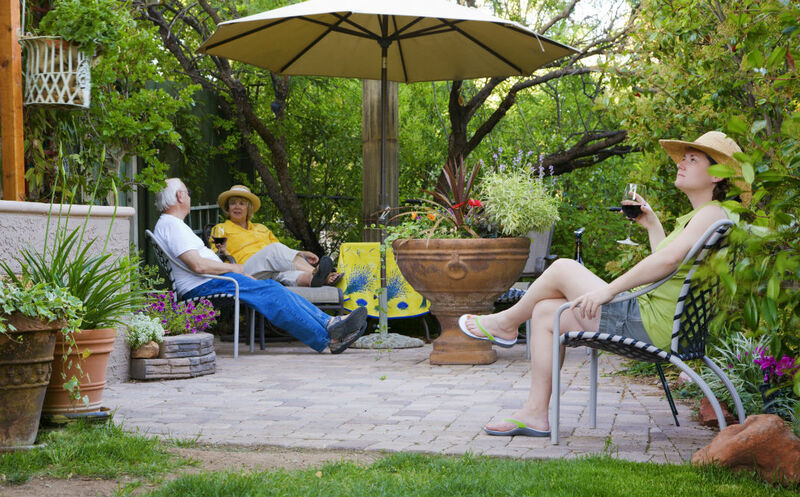 The umbrella has a 1.38-inch, heavy-duty, two-piece ash wood pole. This pole is solid and has stainless-steel rivets and joints which are designed to withstand the wind, sun, and sand successfully. Ashwood poles are a great choice to give a higher level of resistance to rust and are very durable. The umbrella can comfortably fit two adults along with their beach chairs. You could also have a child sitting with you along with your coolers. The company offers a seven-year fading guarantee and a two-year warranty on the frame unless there is negligence on the part of the user. The umbrella does not come with a carry bag and sand anchor. Unlike the previous three beach umbrellas we reviewed that came in multiple choices of colors and designs, the choice is very easy here! The company offers this umbrella in one color, which is orange, together with the company’s logo. 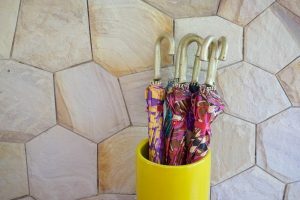 Although there are no other color and design choices, this umbrella has some features worth considering. The Aoske Portable Umbrella is a simple, no-frills beach umbrella. The umbrella stands tall at 79 inches when fully opened and weighs about 4.3 pounds. When in the closed position, the umbrella measures 46.5 x 4.7 x 3.2 inches. The poles of this product are made from a highly durable aluminum which is also very light in weight. The poles can be unscrewed right in the middle for a quick, easy, and compact storage solution. The pole is resistant to rust and is significantly lighter than steel poles. The pole also has a slightly different anchor unlike the others we have reviewed so far. 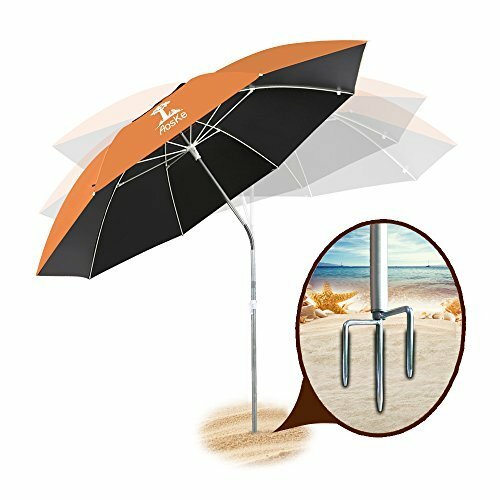 The umbrella has a pointed prong anchor, which can be used by pushing it deep into the ground by stepping on the integral stand. This prong anchor will work perfectly in places with grass and dirt, fields, and sand. The umbrella has a tilt feature or can be adjusted in three different angles. Depending on what angle the sun hits you, you can tilt the umbrella accordingly to protect yourself from the UV rays. Additionally, the vinyl material can block heat well, so you do not feel as much heat on your skin. The canopy on this umbrella is made of a light filtering and breathable fabric which is capable of blocking UV rays by up to 99.9% and will still maintain its bright orange color over time. The canopy is six-foot long and has air vents on the top along with a durable top finial which offers better cooling when you're under the umbrella. It also give you more protection from any sudden wind gusts. 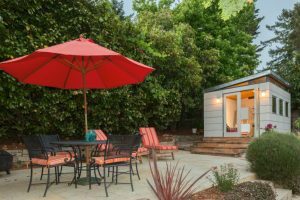 Since the canopy is only six feet long, it can accommodate two adults and possibly a child if you are not using chairs. We very much hope we've made selecting the best beach umbrella a simple task for you. Amongst the four beach umbrellas we have reviewed, we're confident you will find one that will suit your needs perfectly. 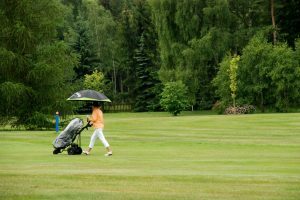 If we were to choose one of them as our winner, we would choose the Sport-Brella Portable All-Weather Sun Umbrella. This beach umbrella is a little different from the traditional beach umbrellas available for the reasons outlined. 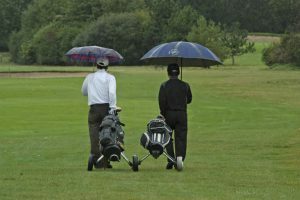 The Sport-Brella Portable All-Weather Sun Umbrella is larger in size, the sides can be rolled down for additional protection, and it works brilliantly to keep you safe from gusts of wind. 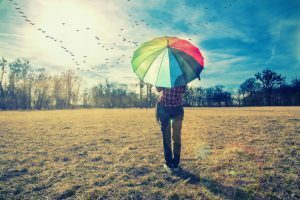 Most importantly, the umbrella is built well and can potentially last you for years.